This museum displays two things: a 17th century upper-class home that has been maintained authentically for centuries and the oldest “industrial” print shop in the world. 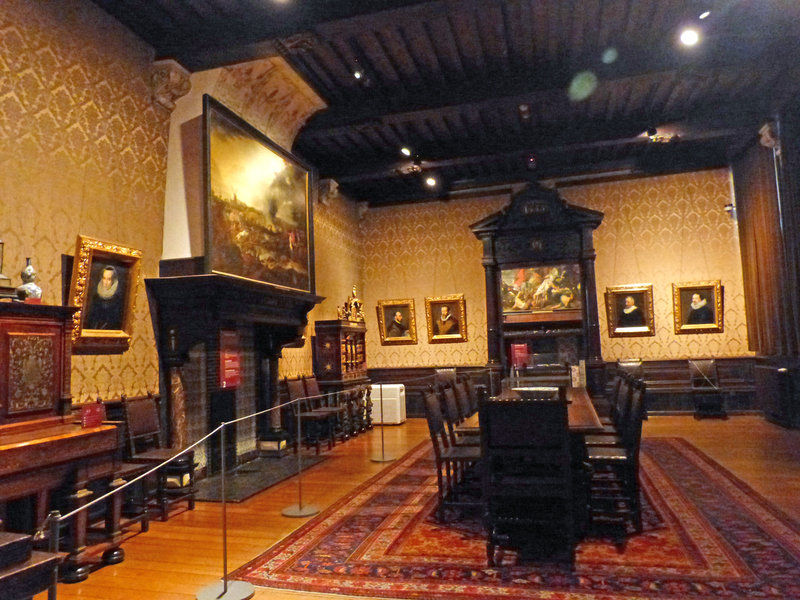 This is the large drawing room where original portraits of the earliest family members who owned the home and established the printing works are hung. 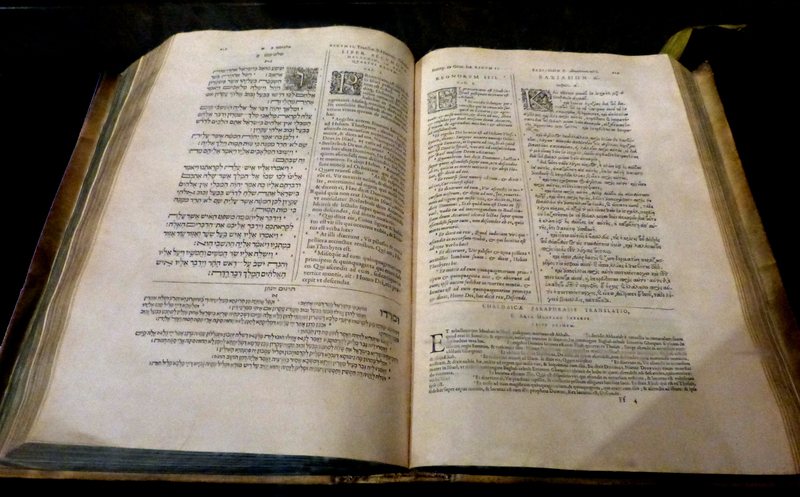 The sign beside this Bible clearly states that it is a Gutenberg Bible. 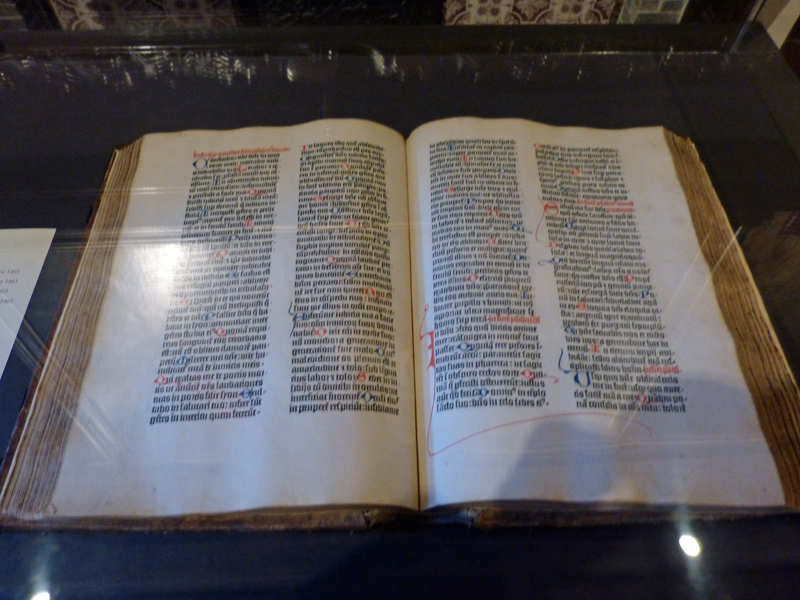 Two other sources I have read recently avoid saying anything about there being a Gutenberg Bible at this museum. This is the “large library” (the small one is next to it). 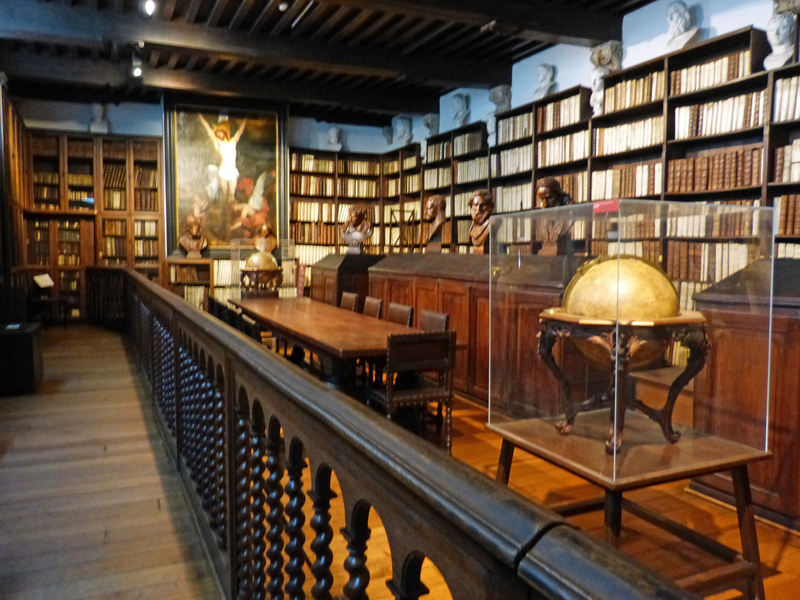 This family not only printed many early manuscripts, they also collected them. Here is the printers’ shop (or at least the display of the equipment used in such a shop.) 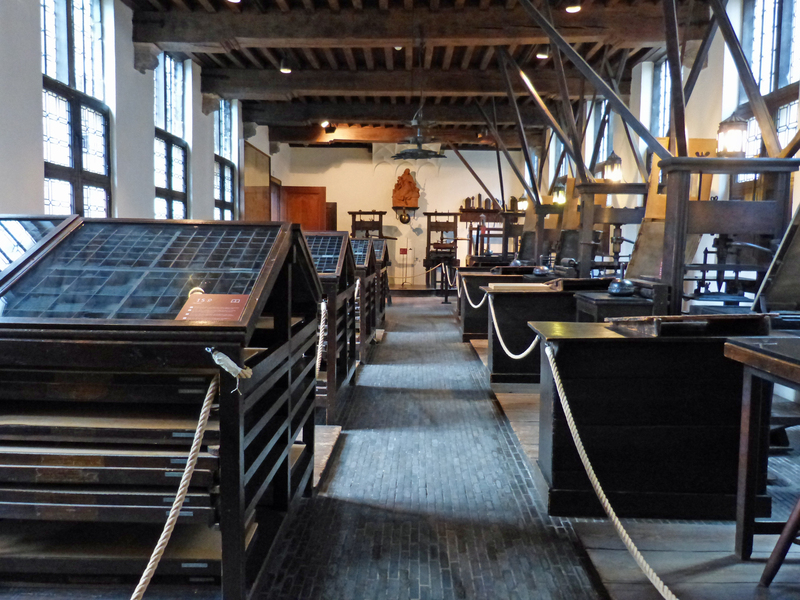 On the left are typesetters’ desks with trays of moveable type. On the right are authentic presses, hundreds of years old, used to print the books this company published. The two presses at the end of the room are said to be the oldest in the world. 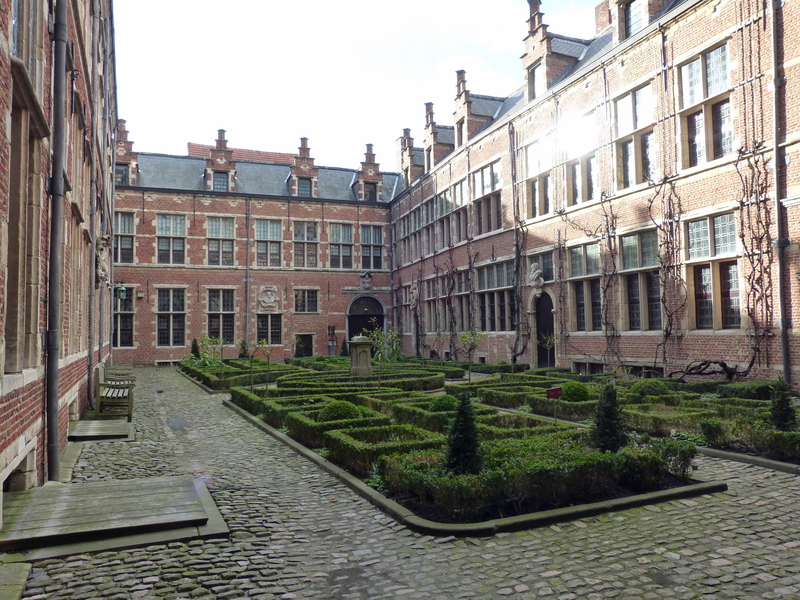 Finally, a view of the garden in the courtyard of this magnificent, ancient building.